Jess, as she prefers to be called, came to Gladstone from the NSW northern beaches ten years ago with her husband. What started as a holiday, quickly became an inter-State move. 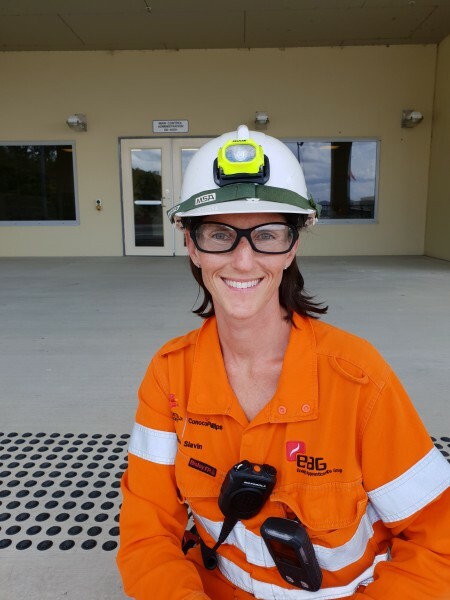 Now, Jess is raising her family in Central Queensland and recently completed the ConocoPhillips LNG Process Plant Operations Traineeship. After submitting her application as part of the second ConocoPhillips intake of LNG Process Plant Operations Technician Trainees in February 2016, Jess remembers thinking who is going to take on a mother who hasn’t worked in five years? Then came an interview, followed by the call that would open a new chapter of opportunity. Jess, along with her trainee cohort, began her two-year traineeship in 2017 with eight-months of intensive study before commencing on-the-job training at the Australia Pacific LNG facility in Gladstone. Jess believes that maintaining a healthy work/life balance has been important to her transition from full-time mum to Operations Technician trainee to Operations Technician. “Mentally, it’s helped my thought process and putting into practice what I am learning. The social aspect of this traineeship has allowed me to meet wonderful people along the way and make some terrific friends,” Jess said. Jess’ experience to date has involved a range of onsite training activities including roles within the Emergency Response Team and management of SAP programmed maintenance work. She has also been an active member of the mooring and connect team for shipping and been involved in two major shutdowns and several rate reduction events. It is this continued willingness to step up and take on new challenges that saw Jess nominated by her Superintendent, Noel Dunn, for a ConocoPhillips recognition award. “This is a direct reflection of her willingness to believe in and demonstrate ConocoPhillips’ SPIRIT Values in the workplace” said Noel. When asked what her traineeship provided, Jess will tell you it was the possibility of a new career in an industry full of opportunity. “The traineeship gave me knowledge and experience at an LNG facility and made me adaptable to change. I was looking for an opportunity to learn new skills and give it my best. “I think the traineeship gave me that and more. Now I’m focused on building my career as an Operations Technician,” she said. When not on shift with C Crew, you will most likely find Jess volunteering at her children’s kindergarten or spending time outdoors with her family.